George Chryssides is currently Head of Religious Studies at the University of Wolverhampton, England. Originating from a small group of Bible students led by Charles Taze Russell in the 1870s, the Watch Tower Society grew into an international society. After Russell's death in 1916, Franklin Rutherford was named his successor and gave the society a new name: 'Jehovah's Witnesses.' 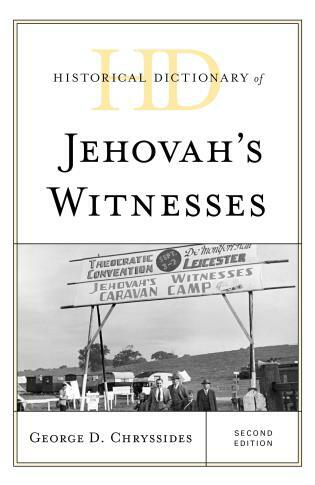 The A to Z of Jehovah's Witnesses shows how World War I & II influenced Watch Tower attitudes to civil government, armed conflict, and medical innovations like blood transfusion, as well as to mainstream churches and the development of Jehovah's Witnesses' door-to-door evangelism. 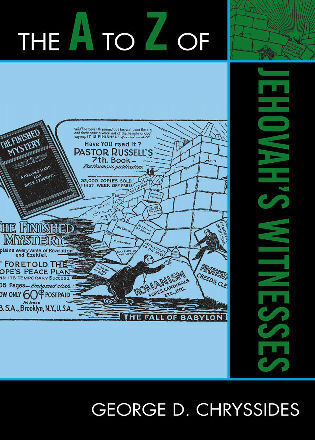 The theme of prophecy, the doctrine of the 144,000, end-time calculations, Armageddon, and the Witnesses' denial of hell are all considered in The A to Z of Jehovah's Witnesses, which contains a chronology, an introductory essay, a bibliography, and 250 cross-referenced dictionary entries relating to key people and concepts.